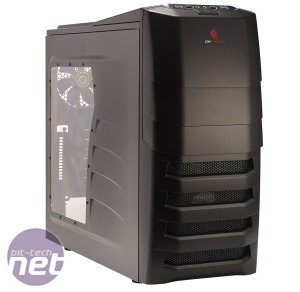 Cooler Master has been churning out cases like nobody’s business in recent years but if we’re honest, few have impressed us as much as its ATCS 840 or Stacker series. These cases had character and individuality, but many of the company’s recent efforts have lacked style felt a little familiar. 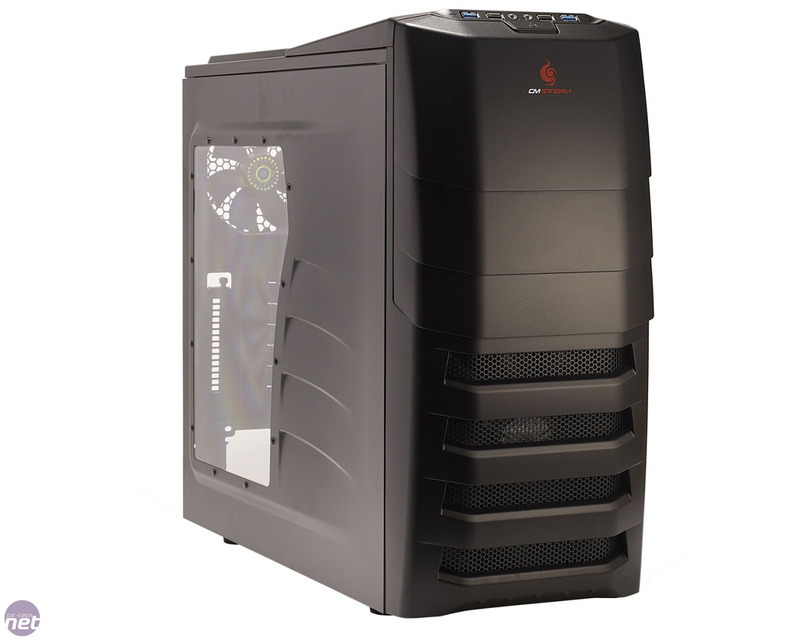 Its CM Storm range of PC cases is an attempt at creating a mean-looking, affordable brand, and the CM Storm Enforcer is the latest case to roll off the production line. 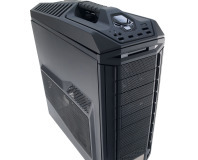 The Enforcer manages to look the part of a mean PC case, without overdosing on grilles and mesh. Made of steel and plastic, it’s both appealing to look at and to use. While we aren’t fans of drive bay doors (they restrict airflow and often end up broken), the Enforcer’s magnetic door hasn’t been added as an afterthought and instead fits in very well with the design. 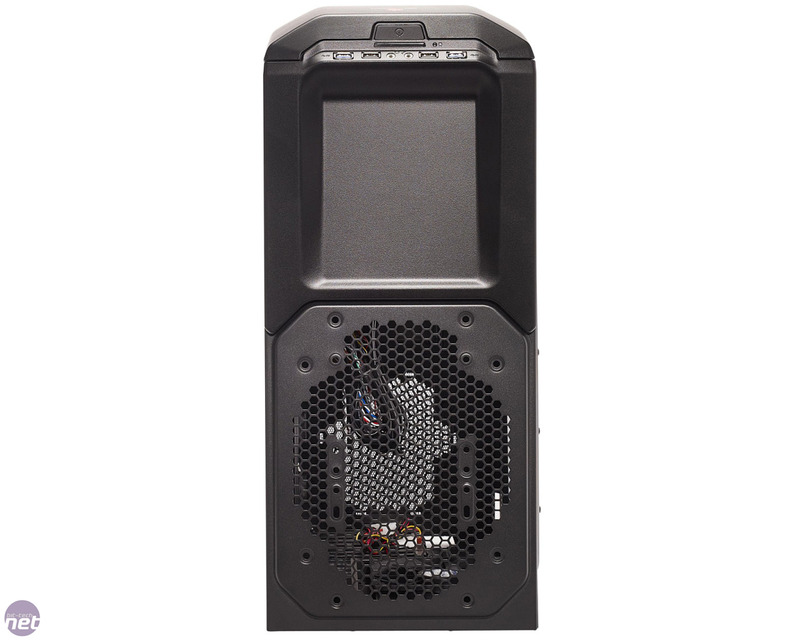 The left side panel is equipped with a large window too, but it’s just the right size to hide everything but your motherboard; after all, no one wants to gawp at your hard drives. 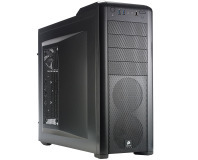 As you’d expect from a new case design, the Enforcer is equipped with two USB 3 ports located on the front panel; these are accessed by way of a motherboard header – if your motherboard lacks a USB 3 header, this will be a problem, as there’s no pass-through adaptor. The front panel also includes two USB 2 ports, a large power button with a reset button hidden beneath the front door, and the usual headphone and microphone mini-jacks. There are four 5.25in drive bays, all of which are tool-free, using slide-in clips. 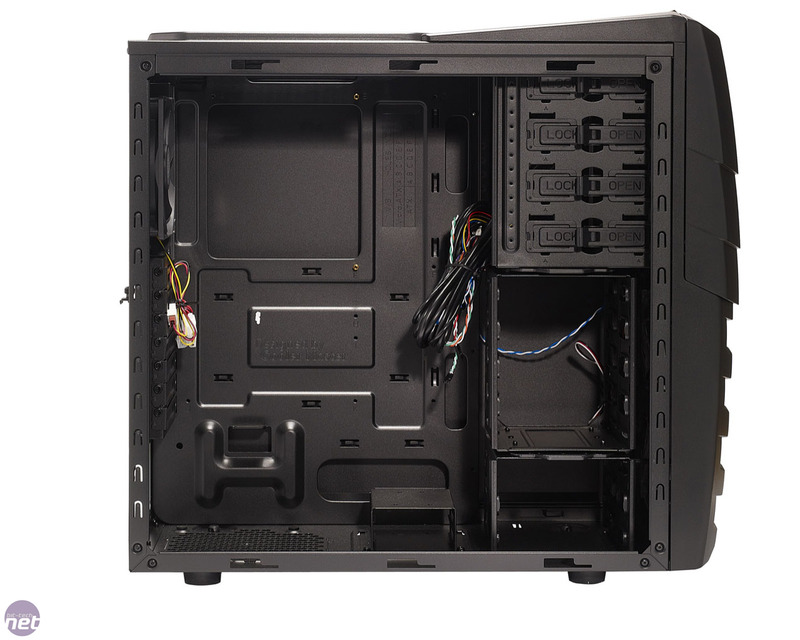 There are also six internal 3.5in drive bays and two 2.5in drive bays, thanks to a dedicated removable drive cage fitted to the floor of the case. If you own more than two SSDs, adaptors are included to provide an additional two 2.5in drive bays using two 3.5in drive bays. The motherboard tray is equipped with lots of cable-routeing holes, as well as a large CPU area cut-out. 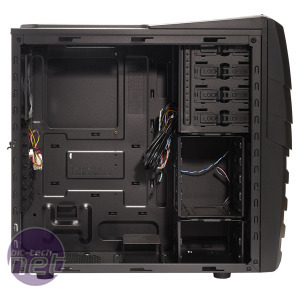 There’s a fair amount of room between the motherboard tray and the side panel, so routeing cables between them to make your PC look neat inside the Enforcer is simple. The Enforcer offers plenty of cooling potential too, with a large 200mm red LED-lit front intake fan shifting a good amount of air over the 3.5in drive bays. 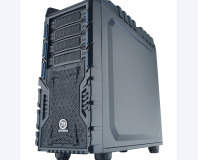 There isn’t a lot of free space for air to flow freely into the main chamber of the case, but there’s a 120mm exhaust fan in the rear of the case, with mounts for a further 200mm fan or two 120mm fans in the roof. Sadly, given the proximity of the motherboard, it’s unlikely that even a half-height water-cooling radiator would fit inside the case. 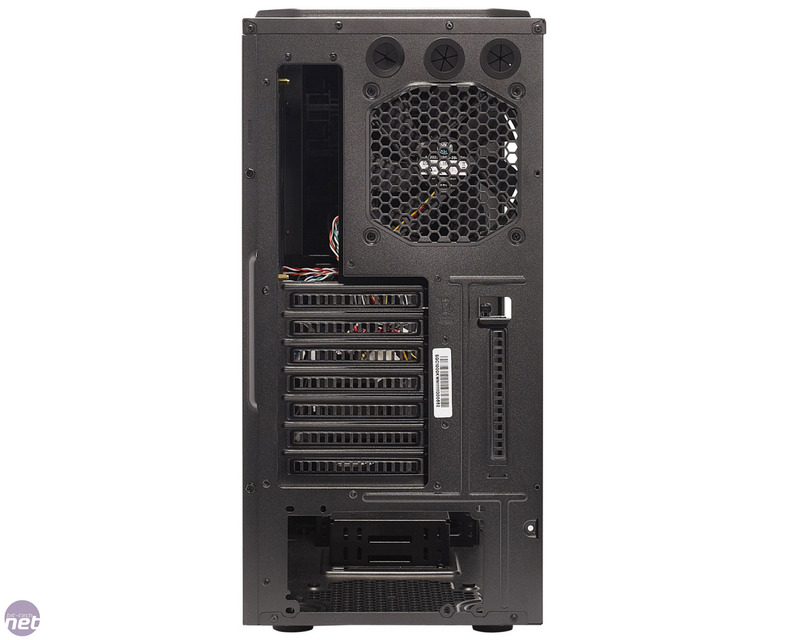 Space is also at a premium when it comes to graphics cards – our 280mm-long HD 5870 2GB Eyefinity Edition graphics card required some serious persuasion before it would fit in place. 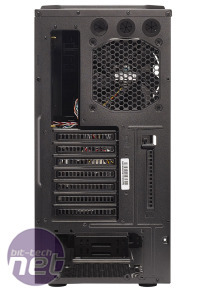 Thankfully, a section of the 3.5in drive cage is removable, providing 390mm of space – that’s sufficient for the longest graphics cards, although you lose four 3.5in drive bays in the process. 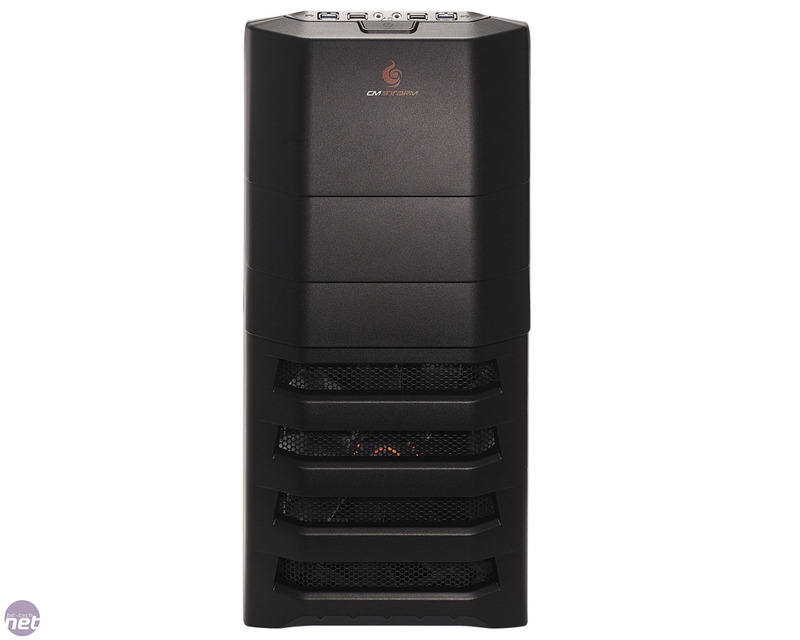 To keep the innards dust-free, there are removable filters ahead of the front intake fan and beneath the rubber-padded PSU mount in the base of the case. 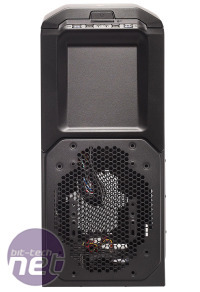 PSU clearance is limited to 195mm with the 2.5in drive cage installed – this is removable, providing an additional 110mm of space, while the Enforcer is limited to CPU coolers below 175mm in height. 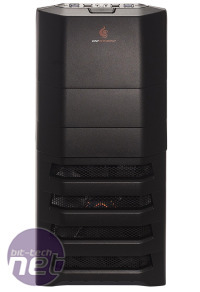 The Overseer RX-I Comes equipped with two 200mm fans, but will that be enough to beat the heat?